Morning at Takamatsu - Wonderful image of a ship on the ocean at Takamatsu in the early morning. 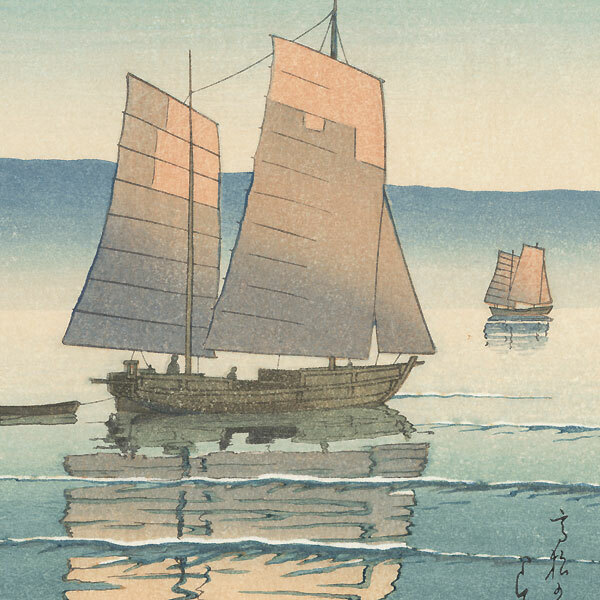 The rising sun casts a soft warm glow on the tops of the sails, reflected in shimmering ripples on the water below. 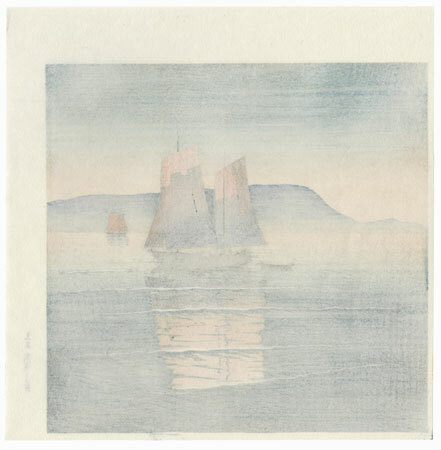 A low mist drifts across the sea, suffused with sunlight. 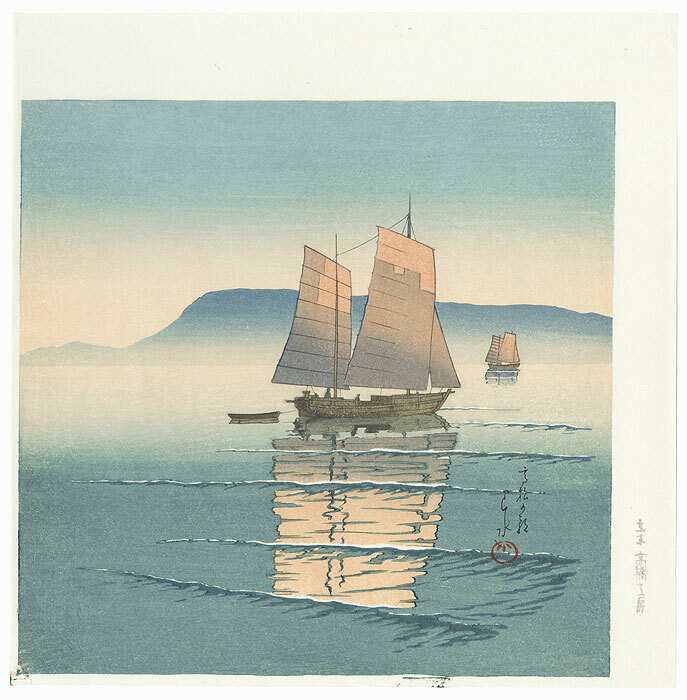 A fantastic example of Hasui's skill in creating the effects of light and shading.